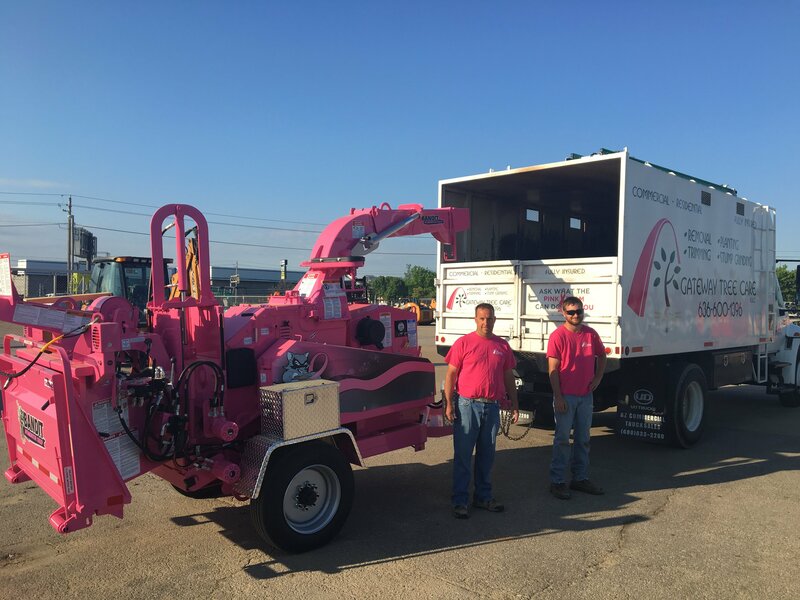 Request the Pink Team for your chipping & we'll donate to Gateway to Hope, benefiting breast cancer patients. Contact us to learn more about our services and schedule a service with our expert team. We’re family owned and operated with a focus on 100% customer satisfaction. From tree removal to pesticide care, we have a variety of tree services to meet all your needs. At Gateway Tree Care, we are a full-service tree company serving the surrounding	areas of West County, South County, Oakville and Fenton. As a family-owned	business, we value integrity and top-quality services. Our main goal is	to ensure you are 100% satisfied with our service. Contact us at (636)	600-1396 for a free estimate. Improving the appearance of your trees and shrubs can increase the value	of your property. At Gateway Tree Care, we specialize in executing professional	techniques to ensure your tree and shrubs are perfectly trimmed and pruned	as needed. Our trained arborists can successfully apply the necessary	pesticides to prevent mites and leaf-eating insects from harming your	greenery. If a tree fell as a result of storm damage or deterioration,	we can remove the hazardous structure in a timely manner to ensure you	and your guests are safe. Our wide range of tree services can improve the health and safety of your	trees. We are committed to safely completing each project by utilizing	the most efficient equipment and techniques. Whether you own a commercial	or residential property, we do our best to preserve and protect your foliage! If you would like to request a free estimate, please	contact us at (636) 600-1396 today.